Happy Sunday ya’ll! I normally “sleep in” until around 9 am on Sundays, but today I woke up at 7 and decided to scout some yard sales with Steven. We started off in Ocean Pines, where there are community yard sales every weekend, but we didn’t see a single sign, so we darted over to the flea market in Salisbury. I was very surprised to see just as many vendors on a Sunday as there are on a Saturday. I was able to score a pair of Miss Me jeans for $5, 2 pairs of Levi’s for $1 each and one pair of Levi’s with the tags still attached for only $2. I figure just these 4 yard sale finds will bring in over $100 for me. Not bad for doing something I love! Yard sales are awesome! And they are not just for Saturdays! Soaking up sunshine, shopping, and making money all at the same time, how could you not love yard sale-ing?! 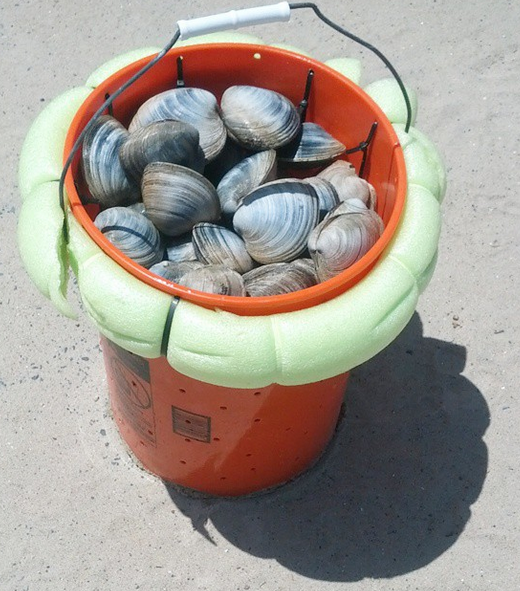 After yard sale-ing, we went and caught some clams! So much fun and free food, too! We were able to fill a 5 gallon bucket to the top with clams, should make for some good clam strips tonight. After clamming, I was pretty tired, but still set on going to goodwill. Yesterday there was a 50% off sale at goodwill. While I do love a good sale day, the best day is the day after a sale, when they put out all the new stuff they’ve been keeping off the floors until the sale ended. I was able to score not one, but two Lilly Pulitzer dresses! 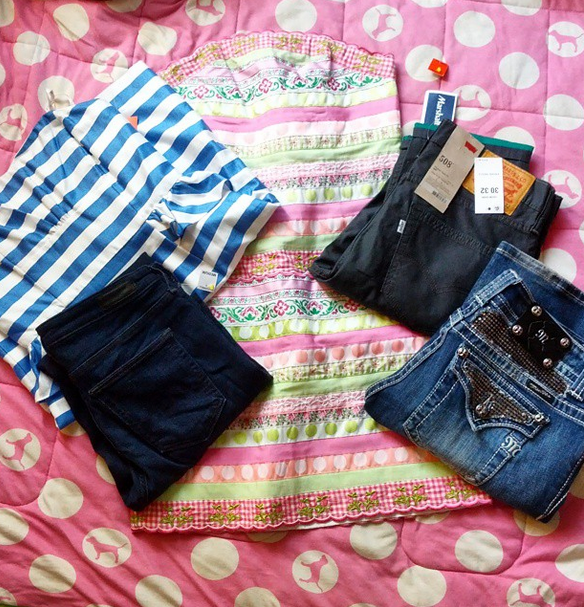 I was also able to find some high profit jeans and some items from Anthropologie. I always look for items from Anthropologie when I’m at goodwill, they seem to always bring in decent profits from around $10 to $20.